The fineness of the weave is of the highest quality. The color dimension of juncus enhances the design of this already very striking work of art. Dimensions: 3-1/2 in.+ high and approx. 5.3 in. in diameter. Provenance: From a private Arizona Collection. 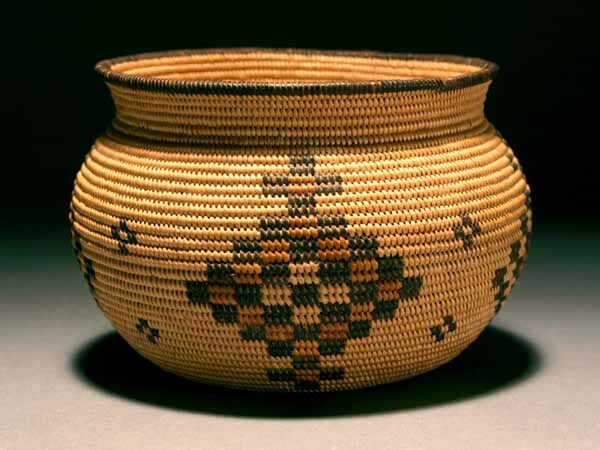 This olla is of a type possibly woven in San Bernadino County featuring the use of juncus in the design.